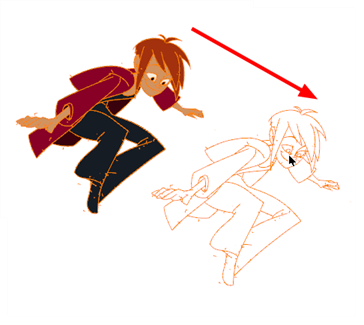 Use the Reposition All Drawings tool to reposition all the drawing strokes on all drawings exposed in the current layer. NOTE: To learn more about the Reposition All Drawings tool options, see Reposition All Drawings Tool Properties. From the Tools toolbar, select the Reposition All Drawings tool. 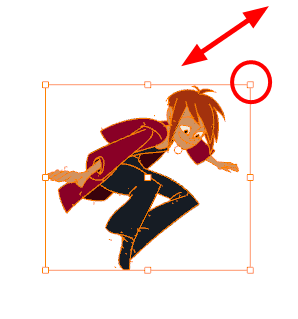 This also automatically selects every stroke in your drawing in the Drawing and Camera view. To reposition, click and drag your selection to a new area. To rotate, rotate the selection box handle. To scale, pull or push on the top, side, bottom or corner control points. Hold down Shift to maintain the selection’s ratio. 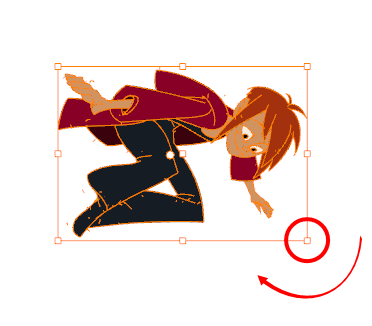 To skew, drag the sides or top and bottom segments, between the control points. 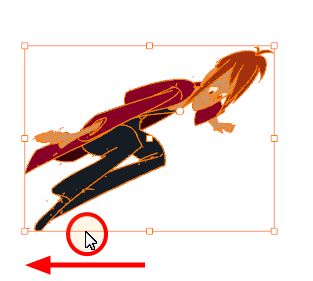 When you release your cursor, every drawing in the drawing layer you repositioned, scaled, rotated or skewed will follow the same transformation. You can also adjust the position by modifying the settings and using the operation buttons in the Tool Properties view.